posted December 08, 2014 03:09 PM bonus applied by angelito on 19 Dec 2014. Edited by Galaad at 10:21, 29 Feb 2016. Modding never stops within this community and as such I've decided to share and present as highlights some of the material discovered at HC that have spellbounded me the most as a player. Note that all these are playable and supposedly easy of installation. If you however encounter any difficulties during installation process, feel free to comment detailing your issue. Note to modders : if I fail in my descriptions, I apologize in advance and will correct as soon as you react. 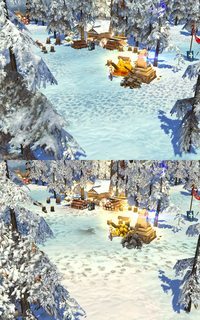 Commonly referred as HotA, more than a mod is a global add-on for HMMIII that extends (and fixes if needed) classical gameplay elements and adds some of its own. On a more conceptual level � HotA is an attempt to continue legendary series RoE-AB-SoD as close to the original as it could have been done by NWC team, if only they had more desire, resources or even understanding of their own game. 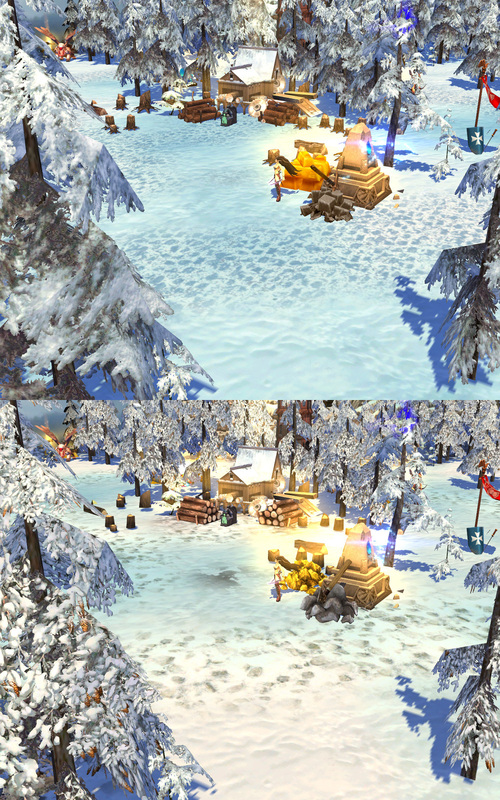 HotA tries to keep classical h3 spirit in every tiny detail from code nuances to overall gameplay. It introduces a 10th town of outstanding quality, the Cove, fully playable and balanced, new creature dwellings, artifacts etc. Gorgeous screenshots to look out on main thread. 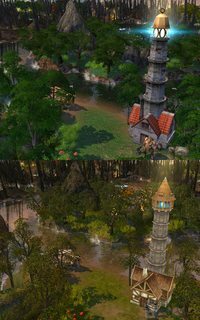 The Succession Wars Mod for HMMIII is a total conversion which transfers HMMII graphics, units and concepts to HMMIII, also adding new various content, such as a new gorgeous faction, Gipsy, or the Swamp Fortress complete redraw. Free skills pick, tons of new features for a renewed experience. Hero of Light shares his visions of the game, with mods of top quality. Complete reskins, brings a great breath of fresh air to the game. - They are over a hundred of mods for HMMIII which are compatible with ERA II, be sure to check 100+ Mods for ERA thread to browse an amazing gallery, as well as the ERA II main thread for installation link and further infos. Basically, ERA II is not only an extremely powerful modding tool which allows you to create to the most crazy extents, but also a great platform for players, to manage mods and having everything reunited into one instead of countless game folders. - Feel free to ask any specific question in the WoG and Beyond forum, tons of infos and experienced modders hanging around there. Time to play these mods with better resolution ! Still in development and is something much bigger than a simple mod, but it was too hard not to mention the monster that is VCMI, along the possibilities it offers towards HOMMIII's future. Coming from Celestial Heavens forum, this mod is made by and for all the Heroes IV lovers out there. Look no further, the future of Heroes V is here! 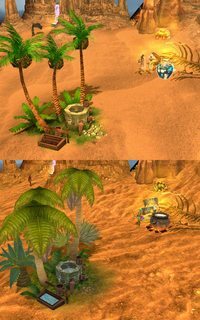 MMH5.5 is an unofficial expansion pack for HOMM5 Tribes of the East or HOMM5 Complete and a spiritual successor to the popular WOG modification for HOMM3. The pack will include many new adventure objects, new larger battlefields, new heroes, new classes, new specializations, new skills, new artifacts, new adventure spells, new HD textures and a greatly improved RMG with more than 60 'visualized' Templates. The AI is much more intelligent and calculated much faster. Balance is also greatly improved both for small competitive multiplayer maps as well as crazy XXXL maps with countless epic battles vs Neutrals and AI. Outstanding mod with better and faster AI, as well as new features and gameplay enhancements. Has to be installed over unnoficial 3.1 patch for TotE. Impressive graphical works in order to improve HMMV visual appearance and environment/atmosphere. Heroes of Might and Magic V : The Role Playing Edition. Simply amazing, be sure to check it out. If only something like this existed when I joined. Thank you. I am suggesting a QP for Monsieur Galaad. Edited by Galaad at 23:20, 09 Dec 2014. Nice work Galaad. Shouldn't there be a link to Equilibris too? Galaad, can you add Might and Magic Heroes 5.5? Just noticed this great thread. Thank you for the compilation, Galaad! Very good Is the Wog included there? Of course, wog is part of ERA. Wow this is awesome, You've definitely put alot of work into this thread. I didn't know about some of these mods, I really like the sound of the succession wars mod.